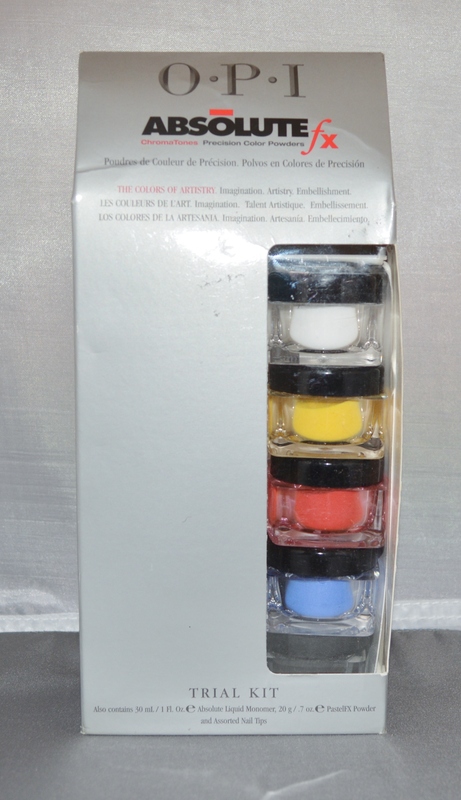 OPI AbsoluteFX ChromaTones Precision Color Powders Trial Kit. The colors of artistry. Imagination. Artistry. Embellishment. 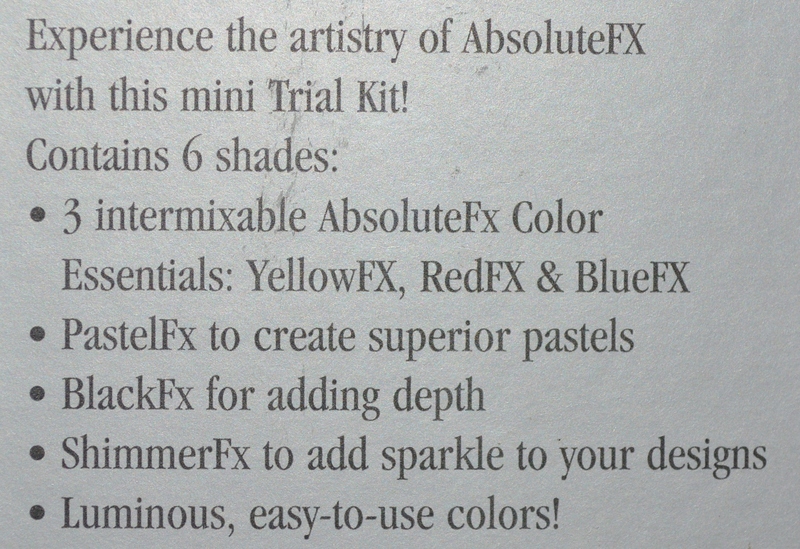 20g - .7 oz PastelFx - To create superior pastels. 8g - .28 oz YellowFx, 8g - .28 oz RedFx, 8g - .28 oz BlueFx - Intermixable color essentials. 8g - .28 oz BlackFx - For adding depth. 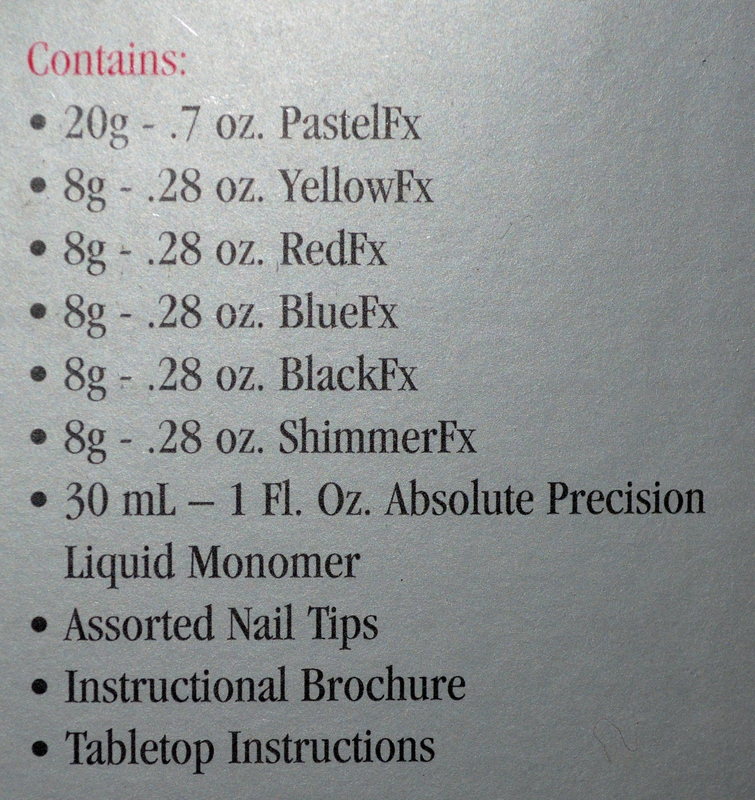 8g - .28 oz ShimmerFx - To add sparkle to your designs. 30 mL - 1 fl oz Absolute Precision Liquid Monomer. Assorted Nail Tips, Instructional Brochure, Tabletop Instructions. 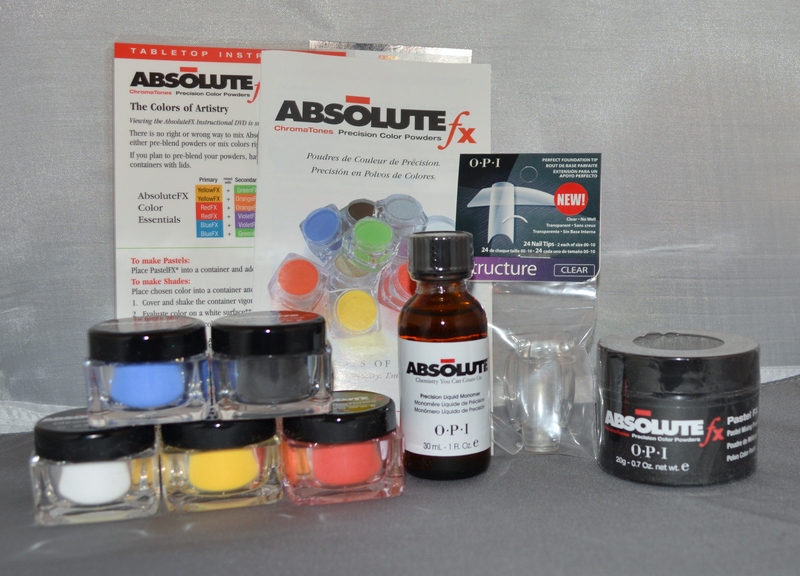 Experience the artistry of AbsoluteFX with this mini Trial Kit!